Mid-January through to February is the season for figs! How lucky are we here in Orange to have this decadent fruit ripening on the trees in everyone’s back gardens and orchards? Here at Pochi ma Buoni HQ we’re making Pane Di Antica Roma – ‘Bread of Ancient Rome’. 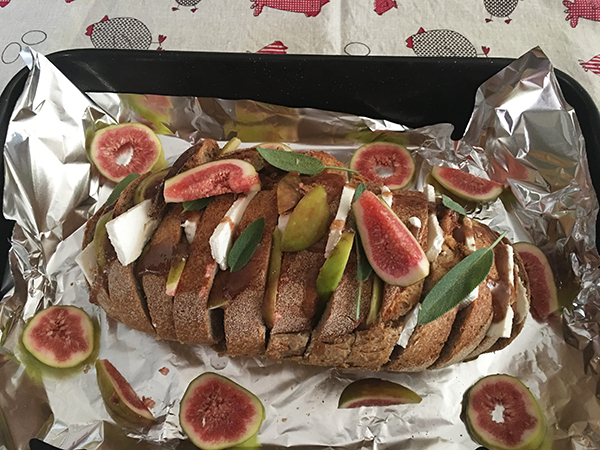 This meal is so Roman the Romans ate it – fresh figs, oven-baked bread, honey, sage and cream of goats cheese. After wandering through the local farmer’s market on the weekend, we also realised it was the season for zucchini – and zucchini flowers! We stuffed zucchini flowers with anchovies and Scamorza cheese, dipped them in tempura batter and fried them. Hooray for summer! Grab a tray of fresh figs from a local orchard, we are lucky to have Norland Fig Orchard on our doorstep at Borenore. Stop into the local bakery for sourdough – we always go to Racine Bakery in Orange, NSW. 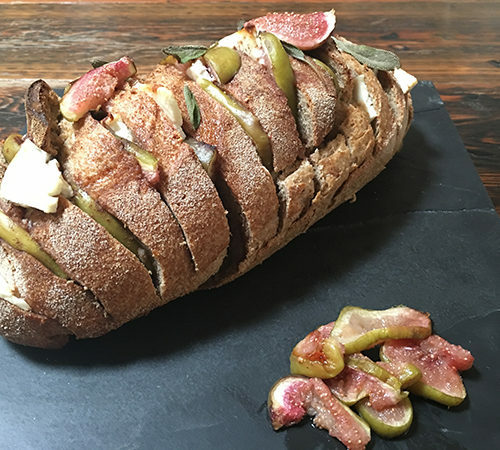 When you get home, slice the bread loaf 3/4s through (see the picture) and fill inside each slice with some pieces of fig and goat’s feta cheese. Drizzle the top of the loaf with honey and dot with freshly picked sage. 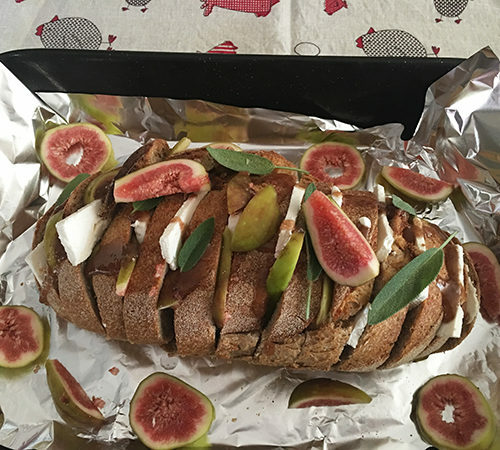 Bake in the oven for about 15-20 minutes, until the cheese melts and the figs are cooked. Break off the slices and gorge yourself silly on these pieces of deliciousness, we did! 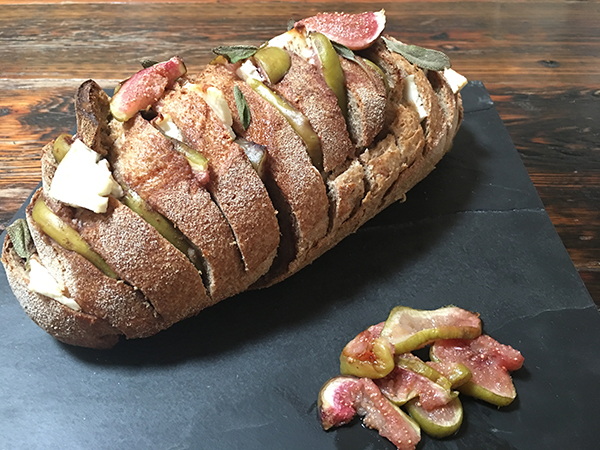 While eating a slice of Pane Di Antica Roma, Paolo was transported back to memories of breakfast sandwiches made of prosciutto, figs, honey and goats feta.